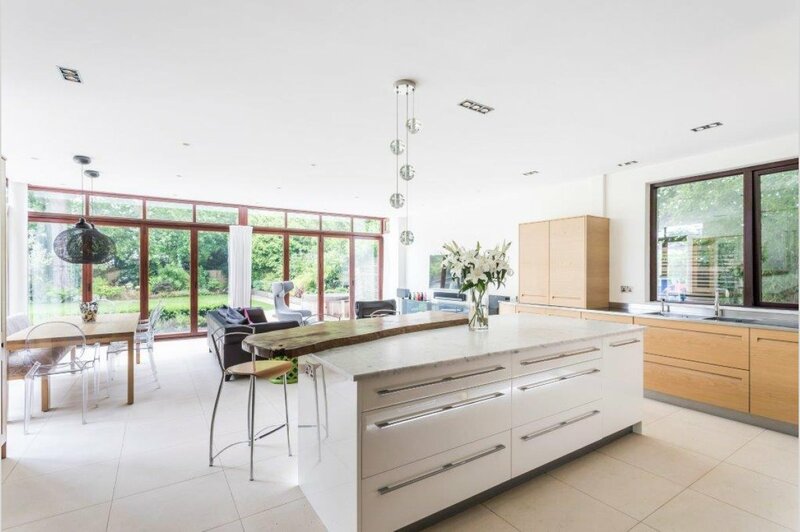 Exquisite 5 bedroom, 5 Bathroom detached contemporary residence on Evening Hill. 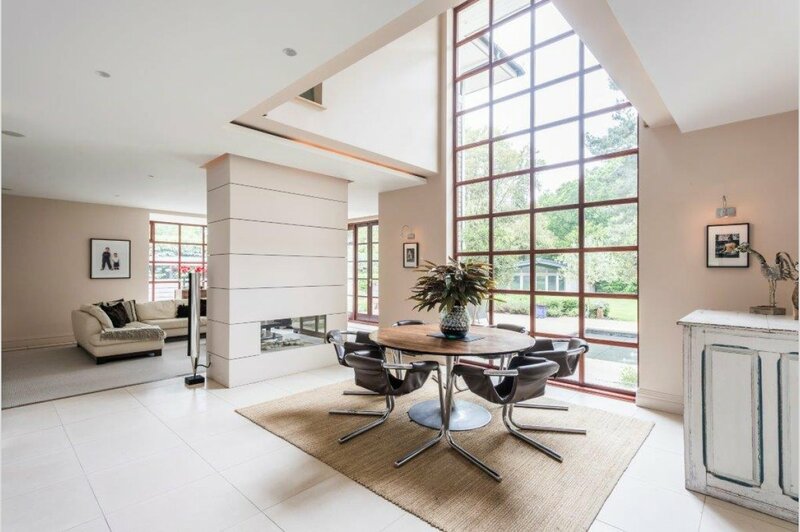 1 Mount Grace Drive is an exquisite individual architect designed home set within the heart of Evening Hill, Poole, moments from Poole Harbour. 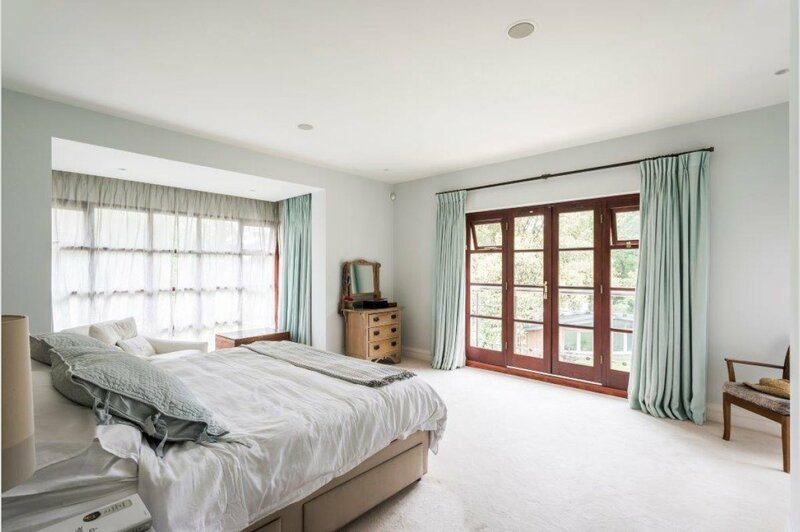 The house was constructed by Roundset Developments and has been extensively enhanced by the current owners. 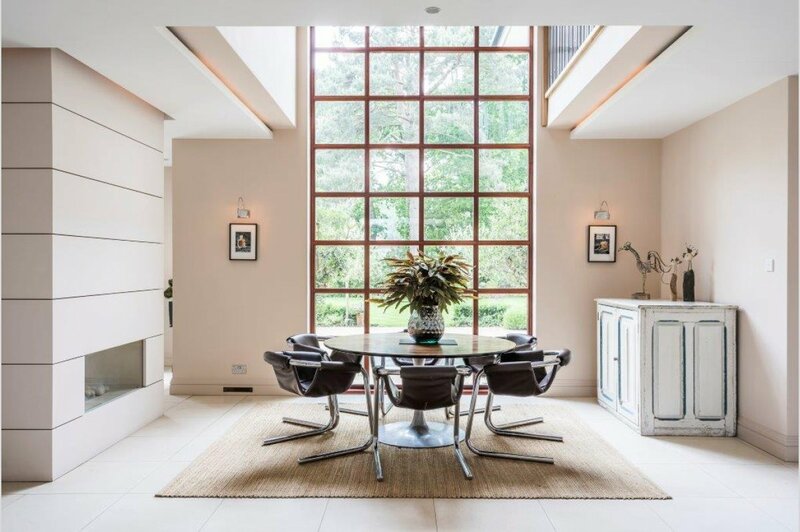 The property offers in excess of 5000 sq ft of accommodation centralised by an impressive entrance, dining hall with imposing glass feature full height window and also a gallery landing. Stunning gardens to both front and rear are further enhanced by a beautiful and unique summer house. The ground floor offers a number of reception areas, with limestone floors to the principle rooms. Striking open plan accommodation incorporates the reception dining hall and lounge, which benefit from a feature flame fire by Platonic fireplaces. Off the entrance dining hall is a separate study which allows access to an outside sun terrace area. 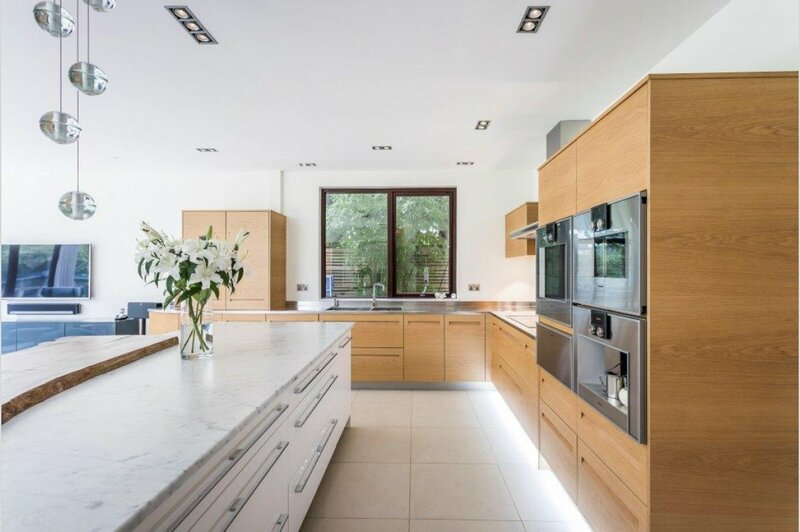 A stunning open plan fully equipped lifestyle kitchen designed by Kitchen Elegance offers luxury bespoke units and Gaganeau appliances, with Carrara marble island top and Waney edge wooden breakfast bar. 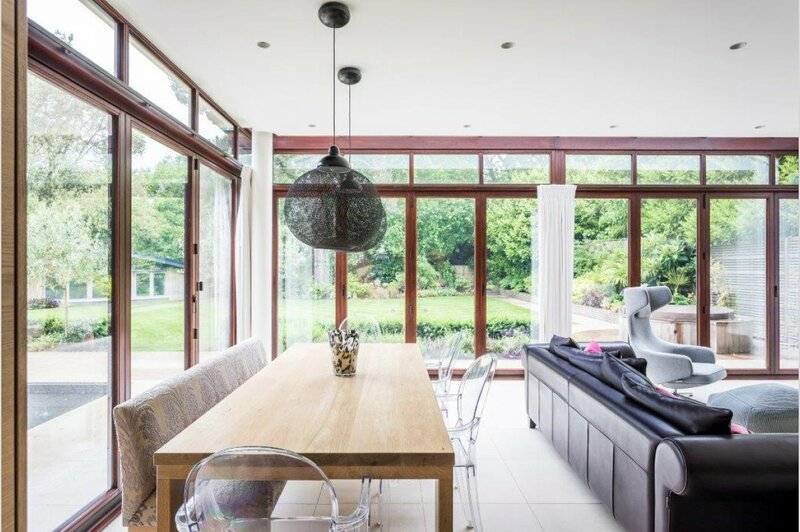 This multifunctional kitchen living space is perfect for relaxing or entertaining, with bi-folding doors on two sides giving access to further outside terrace and landscaped garden areas. Served off the kitchen is a separate utility, leading to a games/media room, a wet room, boot room and integrated double garage with electric up and over door. 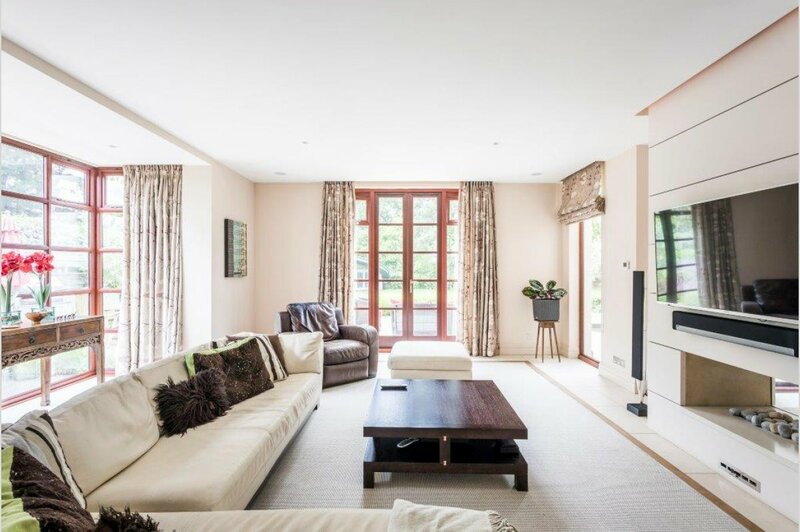 The home has been enhanced with Cat 6 cabling on lower levels, Control 4 home automation system, intelligent lighting system to kitchen and garden, and full ceiling speaker system. The house has gas fired underfloor heating to both floors. Situated on the first floor is the principal master suite, walk in dressing area, Juliet balcony and en-suite. 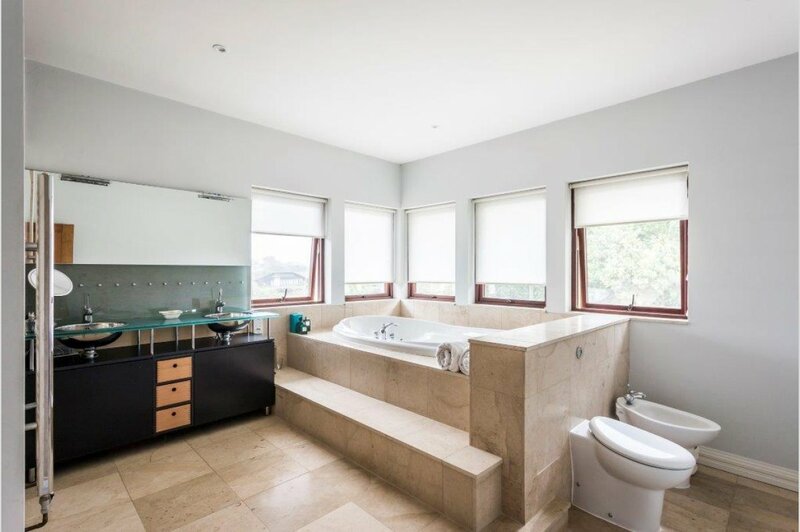 Also on the first floor are four further bedrooms served by individual en-suite bathrooms. The house stands on a well landscaped, spacious plot, with delightful kitchen garden and putting green area to the front, a secluded driveway provides parking for several vehicles and access to a large double garage. Immediately adjoining the rear of the house are multiple paved patio areas accessed via the lounge, study, kitchen/living space and side porch. 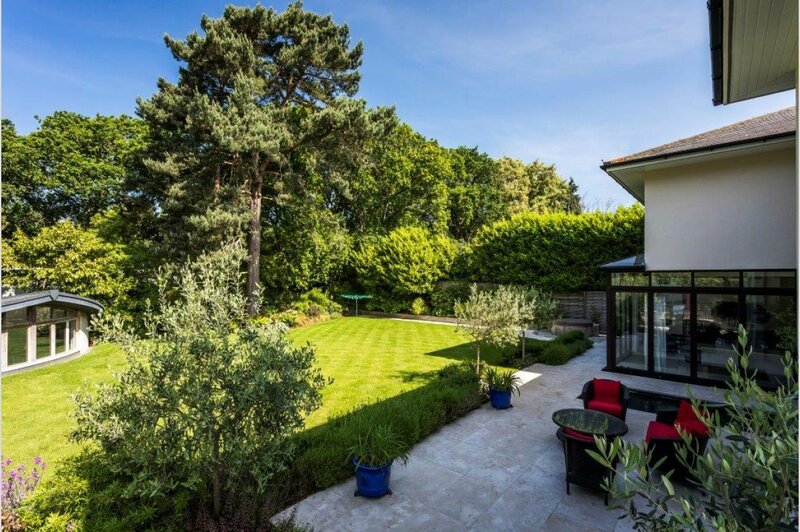 A beautiful rear garden has been landscaped with multiple terraced seating and dining areas. Two main water features surround the property both with various feature settings and LED strip lighting, complementing the home�s contemporary, relaxing feel. A sunken Riviera hot tub offers further relaxation alongside an outdoor BOSE speaker sound system. 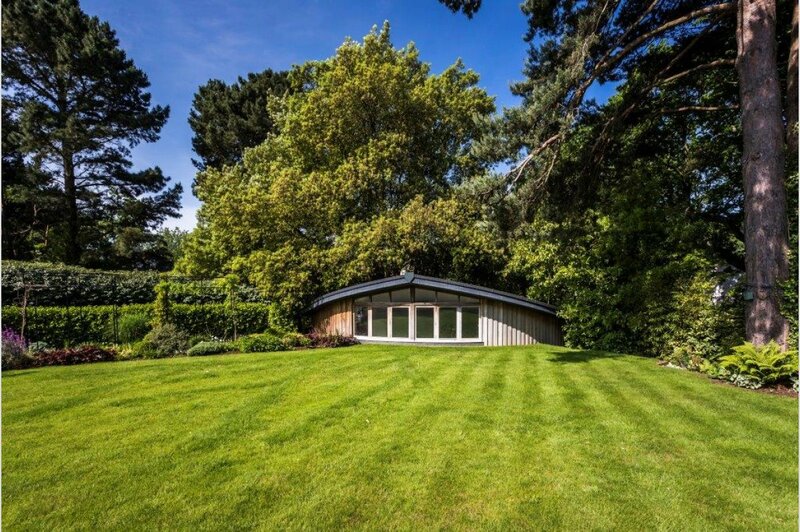 The summer house offers a fully air conditioned gym facility or entertainment space, with fibre optic cabling, home automation system and sauna and shower room facilities. 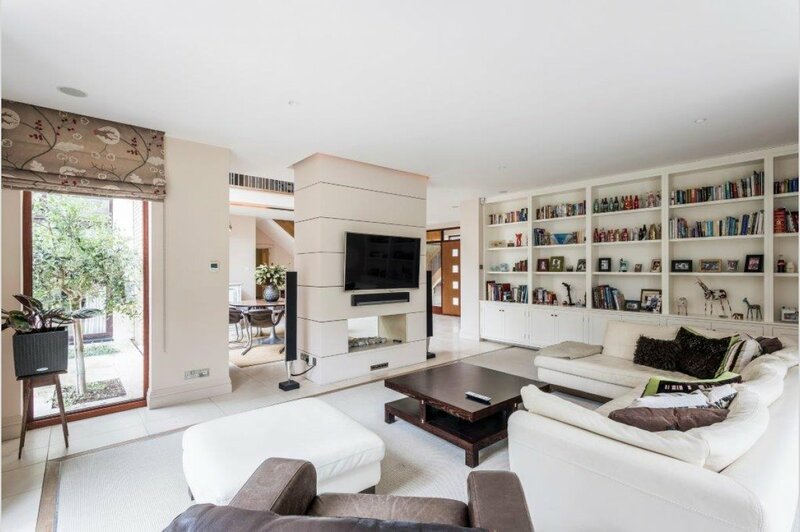 To fully appreciate this impressive property and stunning gardens an internal viewing is highly recommended. Extending to approximately 5066 sq.ft.